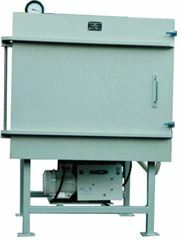 A complete design and build solution for your chambers and plant upgrades. 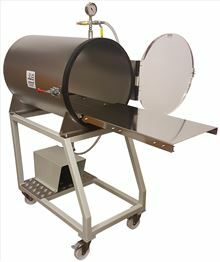 Box chamber conversions for existing Edwards 306 coating plant and most other laboratory scale systems without the need for modifications. 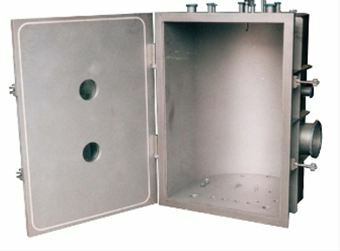 Our 306 Stainless Steel box chamber can be retro-fitted in a few minutes. 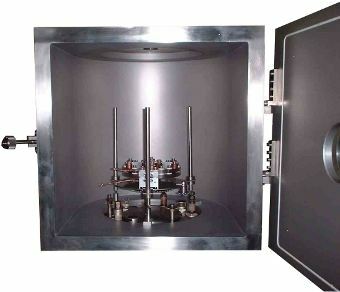 900mm high x 500mm diameter box chamber for use on a special plant fitted with a Turbo Molecular Pumped system. Edwards 306 coating plant fitted with one of our 450mm x 450mm 'D' shaped chambers and a 6 position rotary source. One metre cubed mild steel chamber with side hinged front door. 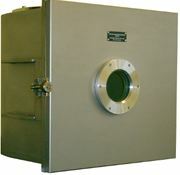 We can make vacuum chambers from mild steel or Stainless Steel in whatever size suits your requirements.